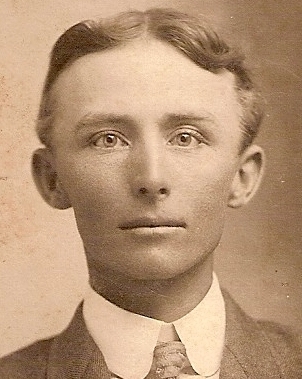 ﻿Edward Earl Gates, the younger, was the first child of Augusta Gorman and Edward Earl Gates. He was born on a farm in the timberland of Marceline, Missouri where he lived for fifteen or sixteen years, before moving to Iola, Allen County, Kansas, where his Dad built a shoe shop. In his own words: When I was a little boy, I contracted pneumonia and three doctors gave up on me, but my sainted mother would not give up. She pulled me through. She gave me a Bible and I read it. It said things would happen in the world and as I see things happen, they come back to me. There’s still a lot I don’t understand about God and religion, but we have to get back to the old Bible, it’s bound to get worse. Men have got to believe what the Lord has told us, it’s all right there. We’re going to be in war before we’re through, and there will be tidal waves and earthquakes. “I’ve been good sometimes,” (He says with a twinkle in his eye. He was a kidder). 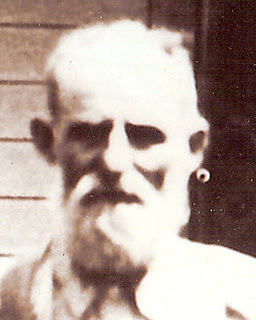 I visited my grandfather, Charles Gorman’s farm in Laddonia, Missouri once when I was a boy. You really work on a farm. I think that’s what we’re here for, to work. You can have what you want if you work a little. I leased a piece of land and farmed awhile, then worked for some German farmers harvesting wheat and alfalfa. I was small built but strong. I returned to the folks and we moved to LaHarpe, Allen County, Kansas where I worked on ranches. I always loved horses and outdoor life. My dad bought a farm near LaHarpe and it joined the land of the Siglers. That’s how I met Sarah Elizabeth, "Lizzie" Sigler. We courted a couple of years then on July 16, 1905, we married. We moved to Humbolt, Allen County, Kansas where I rented a farm. Our first child, Herschel, was born there. He was a natural at building mechanical things and he later married a wonderful wife, Emma Meining. Lizzie and I had twins, Glen and Gladys in LaHarpe. My dad got involved in real estate and invested in Colorado land. He gave me a farm near Center, Alamosa County, Colorado, but it was an alkali place and I didn’t bother to farm it. Instead, I went to freighting spuds with a team of superior mules. Next, I went into timbering—ran a saw mill for seven years, thirty miles or so from Center. We had Wayne, Dale, and William (Billy) there. The saw mill burned to the ground during my absence and we moved to Center. Dale died there in 1921. I was a cowboy for others for awhile, got myself a cattle business started, and we moved to Saguache in about 1923—the old Forbes place, close to high range. Then I started a cattle business over in Gunnison. By now Elizabeth and I didn’t have a marriage and she wouldn’t move to Gunnison in 1925, so we called it off. I gave her the cattle business and I moved south to Douglas, Arizona. Divorce was such a stigma in those days, that I changed my name to Yates. Later, when Wayne came to be with me, he called himself Yates too. In Douglas, I was a cowboy for a large outfit. Then I ran a service station and hamburger place awhile. I planned to start a cattle ranch in Mexico, but the Mexicans had one of their revolutions and my partner and I left for safer territory. I didn’t have enough money to start ranching alone, so went up to the Arizona strip to a tiny water-hole called Grapevine (Seven Springs). This strip of land lies between Nevada and Utah. On October 22, 1931, my daughter Gladys’ husband, Otto Meining, died of double pneumonia, and she and her daughter, Betty Louise, came to live with me at Seven Springs. I spent many years at Tassi on the Arizona strip. This is where Wayne and I built a house out of adobe and stone. It was cool in the summer and warm in the winter. The walls were thick. Adobe is a good insulator. We gravity fed water from the spring on the hill behind us and that gave us running water in the house. We had a shower and a flushing toilet in the bathroom, but we never had electricity until about the time we left Tassi. 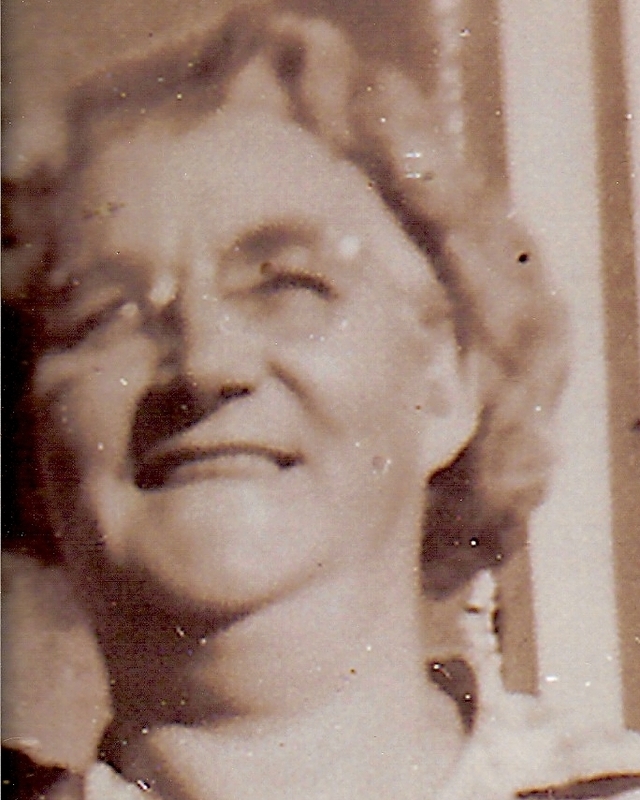 Lizzie died April 17, 1958, in Monte Vista, Rio Grande County, Colorado. Betty Louise drove up to her grandmother's funeral, and did a great deal to mend the feelings between the children of my family who were split after Lizzie and I broke up. What Ed doesn't say about himself and what this sketch of his long life doesn't express, unless one looks between the lines, has to do with his good heart. His grandson, Ken, told me about the time he was bit by a cennepede. It was his grandfather, Ed, who stayed up all night working with him to get the poison out of his system or he would have died. A picture of his mother, Augusta Gorman Gates hung on his bedroom wall all his later life that his great granddaughter knew him and talked about her with tenderness to whomever would listen. Ed was a generous man. When his daughter, Gladys, and granddaughter, Betty, lost their husband and father to pneumonia, he gave them a home and upon Gladys' arrival in St. Thomas, gave her one of his prized horses, a palomino she named Polly. Ed helped his great granddaughter through college and always took the time to talk to her and tell her the stories of his life when she came home from school. He was a brave man, not afraid of lonliness, out on the desert where he ran cattle until he was nearly 80. He could still play guitar in his 90's, sitting on the edge of his bed at their place in Mesa, Colorado. He worked with the cattle into his 90's. He and Gladys dug and built an underground fruit cellar in his 90's. In August 2004, I Naomi, traveled through Missouri on my way to New York. I decided to visit Marceline, Missouri, where Grandad was born. On the way, I drove through such a storm of insects that I couldn't keep the windshield cleared off. It was unnerving and creepy to say the least. The area was rich in insect life. Marceline was a small town, part of which was on a hill. I stayed the night in the only motel with maybe six rooms for rent. There was a convenience store where I bought supper, a sandwich. The next morning I searched for a car wash to wash the insects off the windshield. The car wash was near the rail road tracks and I watched as a train came through. I waited a long time to see if another one came, but another didn't come while I was there. Missouri is a rich farm country and I was glad I was able to see the country where Grandad grew up and where his father, Edward Earl Gates and mother, Augusta Gorman settled for awhile. Not much is known of Lizzie Sigler's family, but on this trip east in the summer of 2004, I also made a stop at the Iola, Kansas library where I found some notices on microfilm. Thirteen children were born to William Sigler and Margaret Dozier: Albert R., Luther, Lee Roy, John William, Henry Franklin, Emma, Mary Malscene, Margaret (Mattie), Sarah Elizabeth who married Edward Earl Gates, II (Ed Yates), Cynthia Ann, Salina Jane, Martha Alice, and Lora Belle. This notice appeared in the Iola Register in the "South Lone Elm" notes by Mrs. Emma Stout, dated November 11, 1924. Mrs. E. E. Gates and baby son (Elizabeth Sigler Gates and Herschel) from Colorado called by the sickness and death of our father, is visiting relatives around here now. L.V. Stout and Lute Sigler spent about all of last week helping take care of her father. We wish to thank the friends and neighbors for their kindness to us during the illness and death of our dear father, also the pastor and singers—the Sons and Daughters of William Sigler. Mrs. Lizzie Gates of Langerita, Colorado, and Mrs. Mary Kaiser of Corwin, Kansas, were called here by the illness and death of their father, William Sigler. Grandpa Sigler passed away Friday night and was laid to rest in the Fairview cemetery near Mildred, Sunday afternoon. For several years he has been failing in health and was almost blind. His son, Lute, lived with him on the old home place and has cared for him faithfully during his declining years. Everything was done for him that could be done to make him comfortable and lessen his pain, but another old soldier has heard the call of the Great Commander, and has joined his comrades, and loved ones will miss their father. We extend our sincerest sympathy and trust they will find comfort in the promises given in the Book of Books. Many around Bayard attended the funeral of William Sigler Sunday afternoon at Fairview. Mr. Sigler came to this section in 1879, and was well known to all the older settlers. Of his family who survive, his daughter, Mrs. A. P. Riggs, who lives near Bayard. The sympathy of all is extended to the sons and daughters. The funeral of Mr. Sigler was attended by a great number of old friends, and many neighbors of his sons and daughters who paid their last respects to one who had lived here so many years. Mr. Sigler's later years have been spent with his son, Luther Sigler west of Mildred.